Cerberus the owner of Cerberus Xing decided to join me for my post of the stunning new halo he made for the Fantasy Collective. So we throw a set togther and made this pretty picture. It was a pleassure to shot with you. 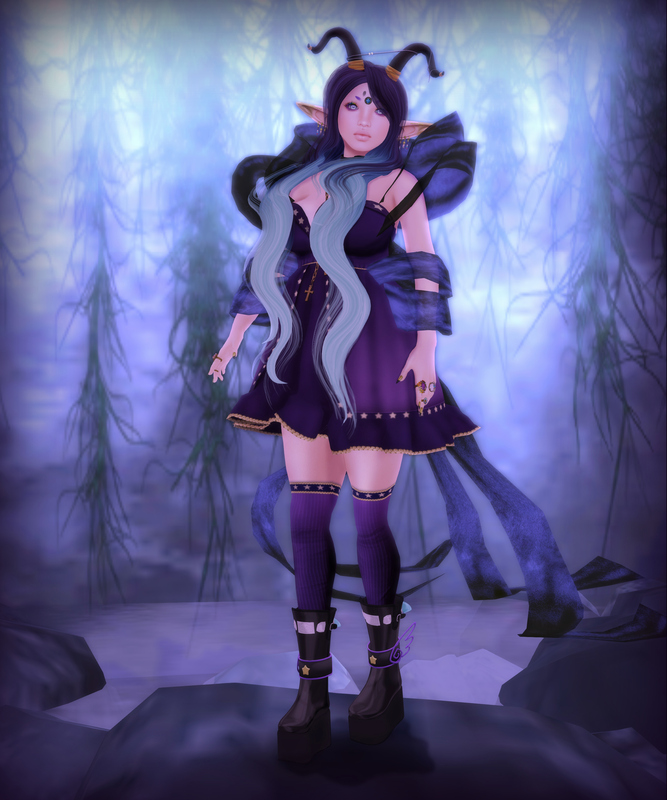 Also the Birthday round of Collabor88 started today where you can get this pretty new Skin release from Glam Affair. so there is nothin more to say than happy shopping/gacha. So this is a little pirate post so i’ve shown you some items from every theme of the upcoming Fantasy Gacha Carnival. If you want to know what that lovely Rose is wearing have a look >>here<<. today i want to show you a little look i’ve created out of some items from this round of Suicide Dollz. My eyes are this months VIP Gift from The Sugar Garden and my hair is the latest relese from RunAway. So today i have to show you this fabulous new undies/dress set Violent Seduction released for the new Kustom 9. This time she comes up with bright bold colors for you and it is lovely as usual so get over there and grap your Demo. As all her new releases the skirt part is fitted Mesh. My hairs are the new release from Ploom and my horns are Cubic Cherrys release for totally Top Shelves and are on 50% for the time of the event. My necklace is Pompositys release for the new Suicide Dollz round so you should also have a look there for some cool new items. At least i have to tell you that i’m wearing the new Lola Delicq!